AMAZING! Sheriff Joe Arpaio May Be Pardoned in "the Next Few Days"
President Trump may soon issue a pardon for Joe Arpaio, the colorful former Arizona sheriff who was found guilty two weeks ago of criminal contempt for defying a state judge’s order to stop traffic patrols targeting suspected undocumented immigrants. In his final years as Maricopa County sheriff, Arpaio had emerged as a leading opponent of illegal immigration. Trump said the pardon could happen in the next few days, should he decide to do so. 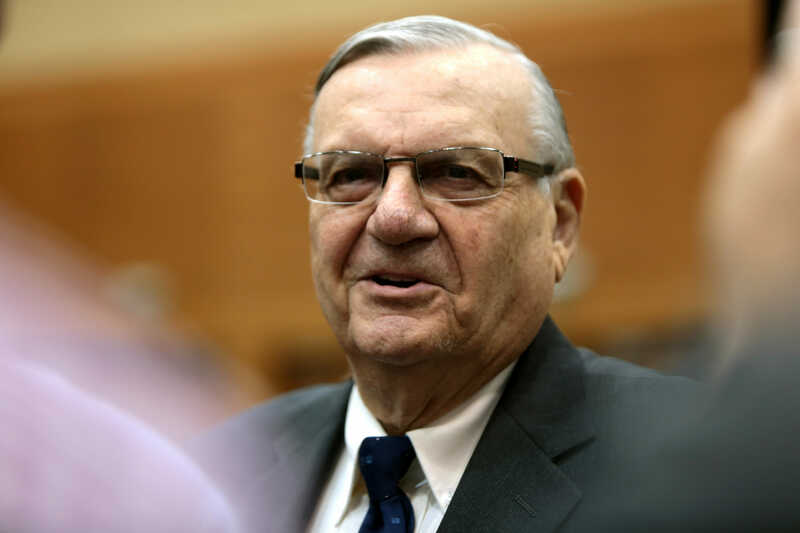 Arpaio, 85, was convicted by U.S. District Judge Susan Bolton of misdemeanor contempt of court for willfully disregarding an Arizona judge’s order in 2011 to stop the anti-immigrant traffic patrols. Arpaio had maintained the law enforcement patrols for 17 months thereafter. The Gateway Pundit previously reported a Bill Clinton-appointed U.S. District Judge Susan Bolton slammed Arpaio with a guilty ruling after leftist groups spent nearly a decade attacking him with legally over his aggressive policies against illegal aliens. Arpaio is 85 years old and now faces up to six months in jail while illegal aliens roam free. Absolutely disgusting. The charges against Arpaio stem from a civil rights suit demanding he cease “racial profiling” in his Maricopa County Sheriff’s Office’s immigration enforcement operations. After a federal judge issued an order demanding certain practices, Arpaio was charged with contempt for continuing to try to enforce the law as he saw fit. I sat through three days of testimony and it was clear from the beginning that the DOJ had no evidence to make their case. In fact, all of the DOJ’s witnesses made it clear that Judge Snow’s order was unclear and ambiguous. There is no way a jury would have determined that the Sheriff willfully and intentionally violated the judge’s order. The DOJ was run by none other than the LIAR Loretta Lynch when they decided to go after Arpaio with criminal charges. This is just more fallout from an 8 year crime spree during the Obama administration. Sheriff Arpaio and his legal team will be filing an appeal to fight his conviction. The Left either wants us dead or in jail. They will not stop attacking the Trump administration or conservatives until they get blood. Meanwhile Hillary, Comey, Obama, Susan Rice, Loretta Lynch, Holder et al are freely walking around.